The main reason is that it will make you feel good. Really good. You will feel more engaged through your core, able to stand up straight and elongate your body. It looks wierd. I get it. 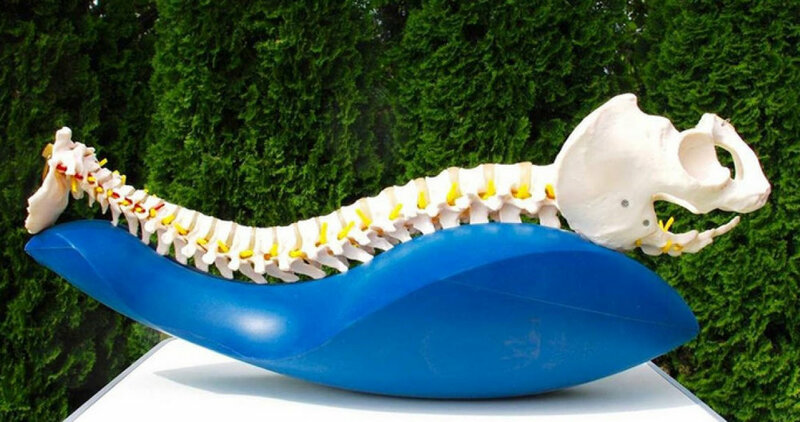 But the Oov was designed by a team of Orthopedic surgeons, physical therapists and chiropractors to accurately mimic and support the natural curves of your spine so that you can achieve optimal spinal alignment. You can lie on the Oov. You can stand on the Oov. You can have your whole body on the Oov or just one tiny part. There are so many variations that you will never do the same workout twice. The Oov provides imbalance to the bodies system which allows you to find a deeper engagement in exercises that were previously very familiar. The Oov will assist you in developing strength where you previously were weaker and range of motion where you may have been tighter. Doing Oov will improve your sporting performance, help rehabilitate injuries and prevent injuries from developing. Oov is for everyone. All exercises can be modified and adjusted for any body. Core class is a sneaky sweat. We start with a warmup to make you feel great and then gradually add on complexity and challenge. Being on the Oov is completely different to anything else currently in your workout repertoire so even if it is really weird looking everybody can benefit from trying this class. Functional movement training on the Oov involves moving slowly with a focus on control and quality of movement. Participants will work on developing stability via the pelvis and deep core muscles (transverse abdominis), joint mobility, balance, abdominal endLurance. and spinal articulation. The Oov is used by elite athletes such as the American and Australian Davis cup teams, The Australian Rugby team and Australian and American Olympic swim teams. It is also used by many Physical Therapists and Orthopedic surgeons to aid in rehabilitation after an injury or recovery from surgery. The Oov is a fantastic addition to any workout routine it will make you stronger, longer with beautiful movement patterns and an increased awareness of your own body. If you want your yoga to become stronger, your golf swing to be more fluid, reduce pain and injury when running try the Oov!